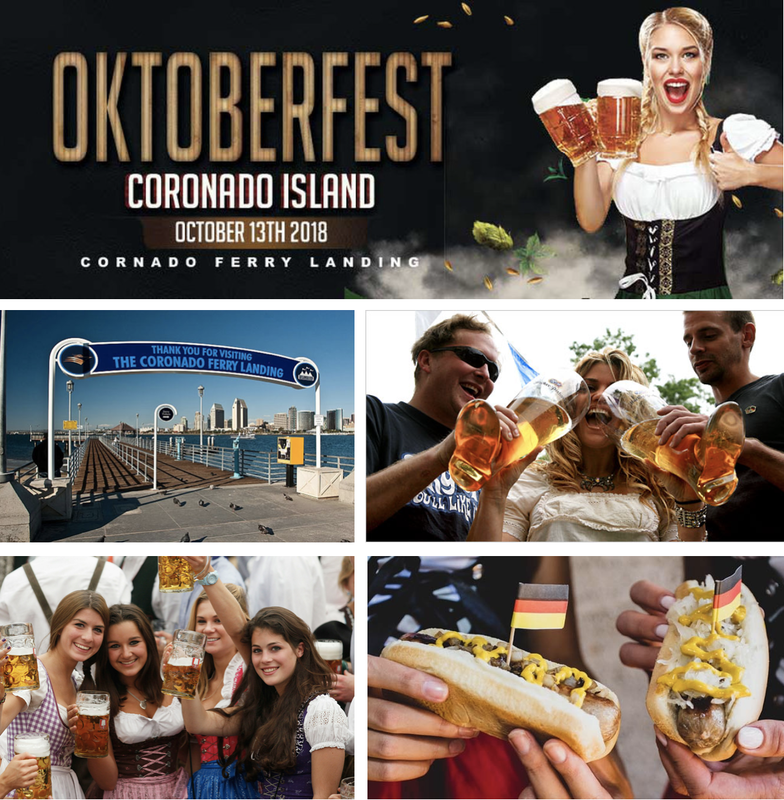 A German-style Oktoberfest is coming to Coronado! Taking over the Ferry Landing on Saturday, October 13, from 1-5pm, is the San Diego Oktoberfest - a traditional harvest festival event where guests can enjoy unlimited stein fills of over 20 beers, festive live music, German-inspired cuisine, and a fun vendor village. As usual, we are raffling off two passes to attend as well as offering promo code SDVILLE for $5 savings per ticket. 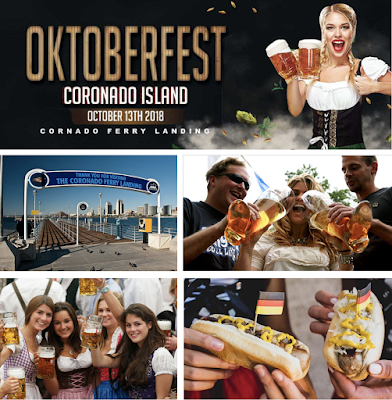 San Diego Oktoberfest is taking over Coronado Island offering attendees unlimited samples of over 20 German and local craft beers from 10+ breweries, a live performance from the lederhosen-clad Jaggerbombs and other DJs, modern German-style cuisine from Coronado Island’s best restaurants, and a family and dog-friendly vendor village. Participating breweries include Rough Draft, Ninkasi, Figueroa Mountain, Latitude 33 Brewing Co., Thorn Brewing, Acoustic Ales, Benediktiner Weissbier, Knotty Brewing, Little Miss Brewing and many more. Tickets to San Diego Oktoberfest are currently available online for $36 until October 1, and include entry into the event, unlimited beer pours, a custom sampling stein, and one complimentary bratwurst sandwich. Promo code SDVILLE saves $5 per ticket on this and all Rock Star Beer events. A portion of proceeds will benefit The San Diego Hunger Coalition and its mission to end hunger, promote nutrition and protect public health. For more information about San Diego Oktoberfest and to purchase tickets, visit oktoberfestsd.com.